There are a few aspects that the Azera is continuously praised for year after year, including its smooth ride and strong set of features. Car Connection's 2017 Hyundai Azera review says the sedan includes "near-luxury features and style," while Edmunds.com says even the entry-level trim is "very well equipped for the money." 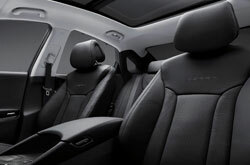 Azera is also known for its class-leading interior space and nicely detailed cabin design, which makes the sedan feel like a home away from home on every ride. The 2017 Hyundai Azera in Carrollton can be had in either a base Azera trim level or a more luxurious Azera Limited grade. 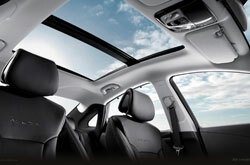 When the critics call this a feature-packed car, it's no exaggeration. Both trims are standard with heated front and rear seats, Bluetooth Hands-Free Phone, HD Radio, a navigation system with an 8-inch touchscreen and keyless entry with push-button start. The Azera Limited is an excellent pick for Dallas-area shoppers who want optimal luxury, adding features like a panoramic tilt/slide moonroof, Smart Cruise Control with stop/start technology and illuminated door sill plates. Both the Azera and Azera Limited are equipped with a 3.3-liter V6 engine that produces 293 horsepower and 255 lb.-ft. of torque. Front-wheel drive and a six-speed automatic transmission with SHIFTTRONIC and Active ECO System are standard, as well. When cruising around in a 2017 Hyundai Azera in the Dallas area, you'll not only be impressed by its robust acceleration but also by its exceptionally smooth ride. Fuel economy is also respectable: 20 city/28 highway on the base trim and 19/28 on the Limited, according to EPA estimates. Many 2017 Hyundai Azera reviews say the car excels when it comes to safety. Security equipment is abundant, including standards like a rearview camera, blind spot detections, rear cross-traffic alert, lane change assist, traction and stability control, tire pressure monitoring and numerous airbags. The Azera Limited throws in a few more safety appointments, such as lane departure warning, forward collision warning, automatic high beams and rear parking sensors. After finishing our review below, visit to test drive a 2017 Hyundai Azera in Carrollton and experience all that it has to offer firsthand. 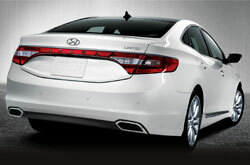 Have the 2017 Toyota Avalon, Chrysler 300, Buick Lacrosse and the Ford Taurus grabbed your attention? Then you should also mull over buying a 2017 Hyundai Azera in the Dallas area. You're likely to find it meets the requirements of your needs, with its chic exterior styling, high-end on-board technologies and magnetic persona. Take advantage of the details included in our report to see if 2017 Hyundai Azera works for you; and then, take a look at great short-term lease incentives offered at Van Hyundai. 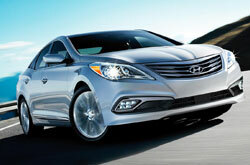 Want to drive a Hyundai Azera and looking for cost-effective factory incentives? Then remember to visit Van Hyundai when you're in town! We hope our 2017 Hyundai Azera review helps you when you're primed to make your final buying decision. 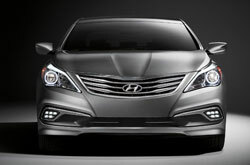 Get readyto be blown away with the stately Hyundai Azera for sale in Carrollton, TX. Set up an appointment for a test spin. 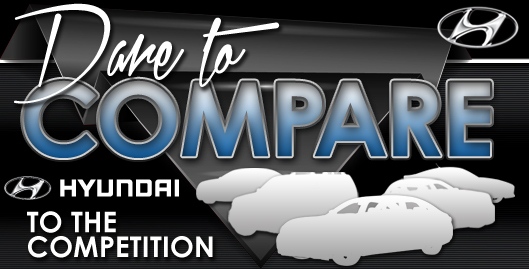 Can't wait to see its premium features at our dealership? Look at our video recording now!